This one bedroom starter home is situated in a quiet residential road of similar properties. The property is well priced to take into account the updating required and offers a great opportunity for someone to do a property up, rather than pay for someone else's taste. 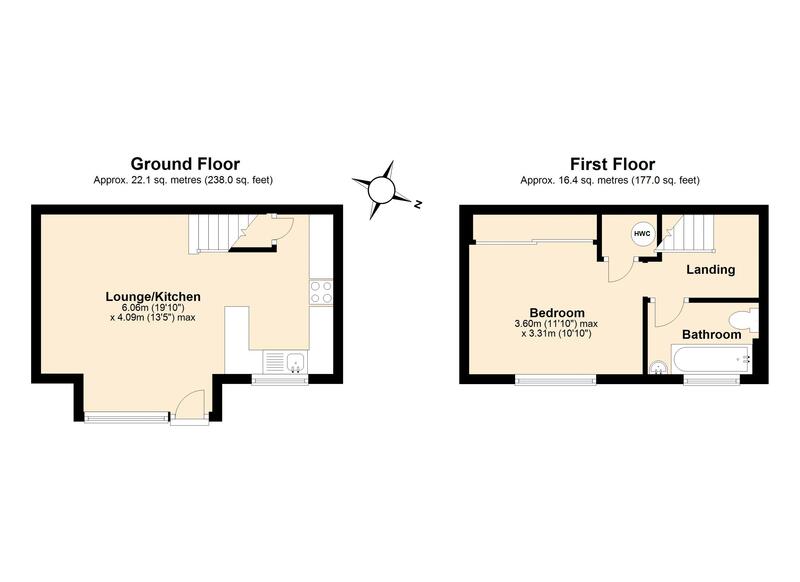 There is a good size living room open plan to the kitchen whilst upstairs is a double bedroom and bathroom. There is allocated parking + visitors' spaces available on a first come first serve basis. There are also communal grounds for which the residents pay £25 per month for their upkeep. There is no onward chain. EPC Rating: TBC.